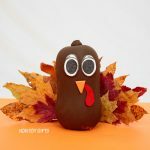 I can’t believe Thanksgiving is just a few days away. 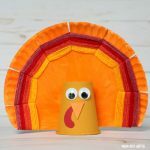 We’re hosting Thanksgiving dinner with friends and because we all have young kids and being the crafty mom that I am, I’d like to add an arts and crafts corner for the little ones. 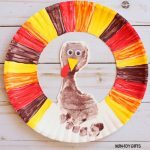 So I came up with a feather turkey craft idea. We won’t be using real feather to make our turkey. 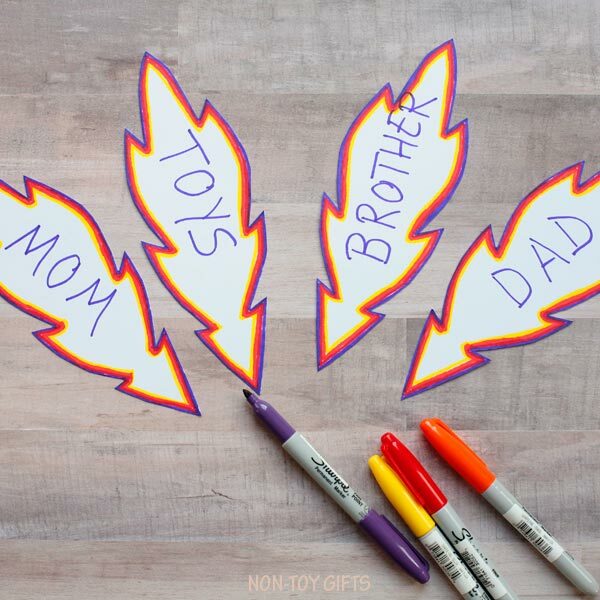 Instead we’ll create paper feathers that we will color or write on. I got my paper and the rest of the supplies from Michael’s. 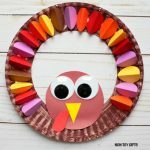 With this feather turkey craft, kids will get a chance to follow instructions and use their scissors cutting skills but they will also be given the opportunity to express their creativity. 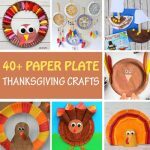 It’s an easy seasonal craft – very approachable for the young crafters. It’s simple to make even for the preschooler in our group but at the same time fun for the older kids. 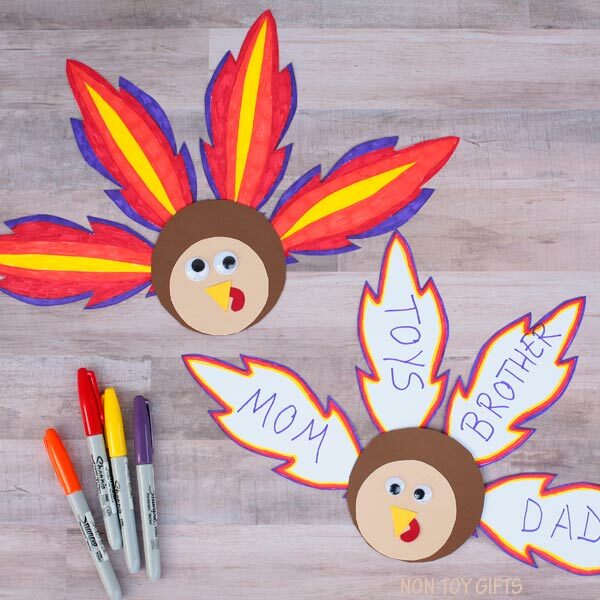 The feather turkey comes with two versions and a free template. 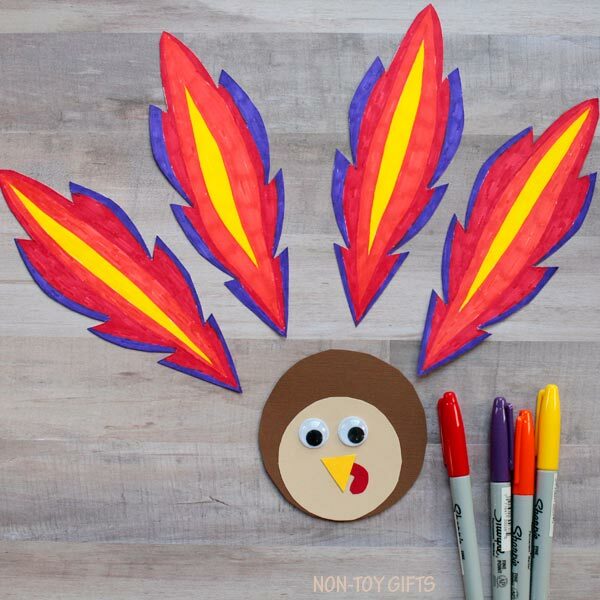 This little guy is a nice addition to the rest of the turkey crafts we’ve created so far as well as our entire Thanksgiving collection. I’m also thinking of suggesting Thanksgiving hats to the kids. It would be fun to see their creations. 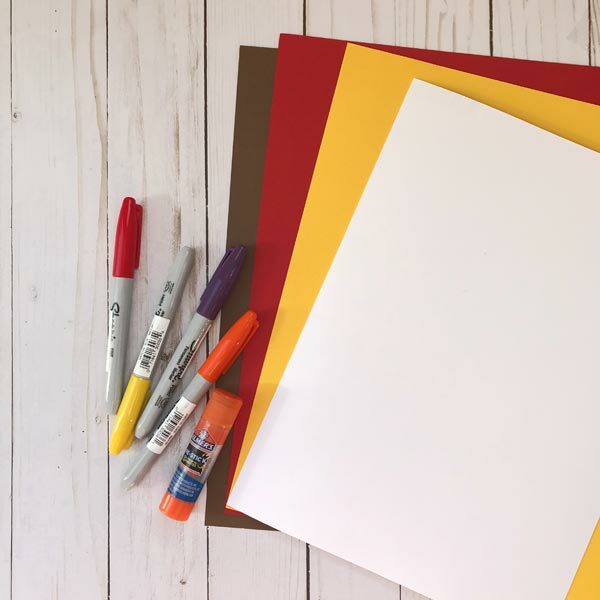 Everything you need for the project is available at Michael’s. This is where I went to get all the items on the list. 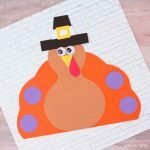 Start by downloading the free turkey template and trace the patterns on corresponding colored paper. 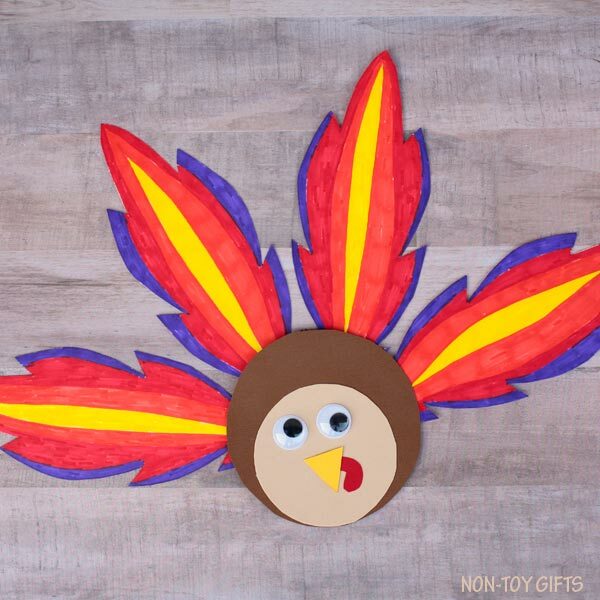 To make the feather turkey craft you will need 4 white feathers, 1 light brown turkey head, 1 brown turkey body, 1 yellow beak and 1 red snood. 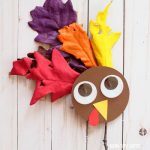 Let’s put the turkey together and glue the beak and snood on the small light brown circle. This circle goes on top of the brown circle. 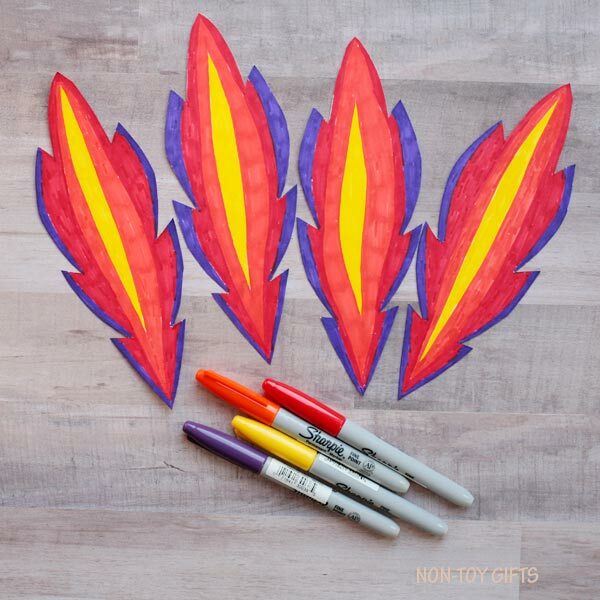 Use Sharpie markers to color all the feathers. 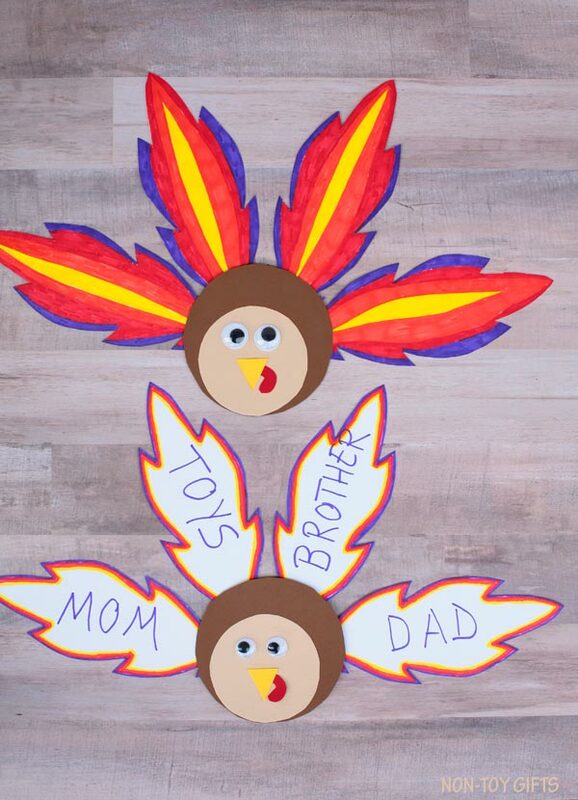 Once you are done, you can glue them to the back of your turkey. Add the googly eyes above the beak and we are done. 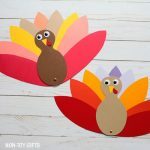 As I mentioned above, I have created two versions of the feather turkey craft. One is the colored feather and the other one is a thankful notes. 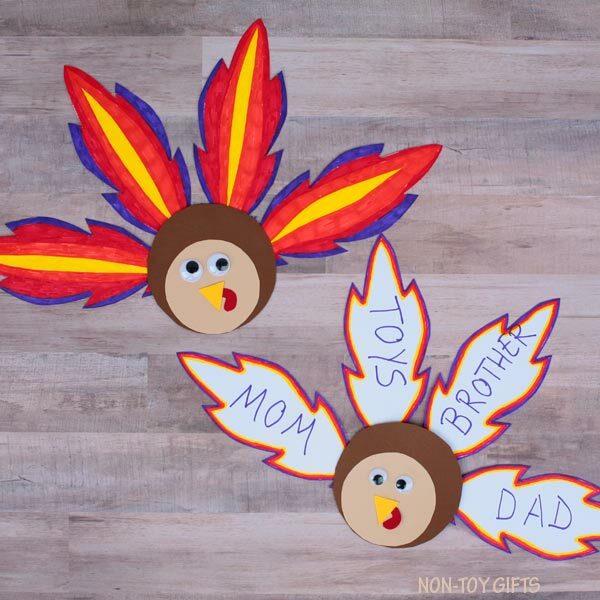 Kids can write on each feather who and what they are thankful for. 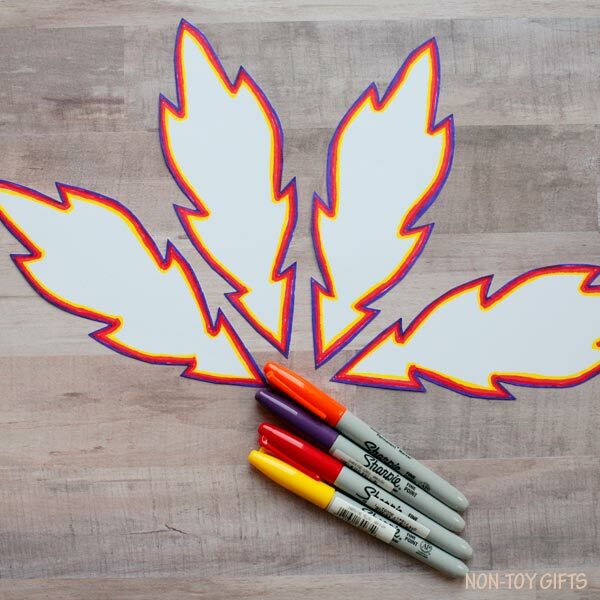 You can start by adding just a bit of color to outline the shape of each feather. Then write on each feather.